At Ridgeline Septic, we offer a variety of septic services to home owners and builders. Our septic service technicians have extensive experience and knowledge which allows us to provide the highest quality service for new septic design, permits and installation, as well as main line repair, servicing of inlet pipes and outlet pipes, baffles, filters, distribution boxes, leach fields, septic chambers, leach field chambers, septic tank lids, inspection pipes, cleanouts and more! We can expertly assess your septic system for problems, complete necessary repairs or replacements, and provide high quality service so that your septic system runs properly. Our experienced and trained service crew will help you design your new septic tank, determine the appropriate size septic system and leach field chambers to best meet your needs, acquire the appropriate permits, and install your new septic system. Our work always adheres to county and state code requirements. Your main line may need to be cleaned, cleared or repaired from time to time. Septic line cleanouts are a very common septic system service that can extend the life of your septic system significantly. Ridgeline Septic can assist your with your sewer line repair and maintenance needs. Septic inlet and outlet pipes may become damaged from time to time and when that happens, it is important to get them repaired as soon as possible. Ridgeline Septic is experienced and knowledgeable in inlet and outlet repair service and can assist you with your needs. Your septic system drains and removes waste to the leach field chamber but if there is a problem with the septic chamber it could back up your entire septic system. If you are experiencing a problem, Ridgeline Septic can assist you with your leach field chamber repair service needs. Septic tank lids can become damaged over time for a variety of reasons including weather and corrosion. If your septic tank lid does not fit properly because of damage or your septic tank does not have a lid at all, foreign objects can get inside and cause clogs and other problems with your septic system. Due to this, your septic tank lid may need to be repaired or even replaced over time. 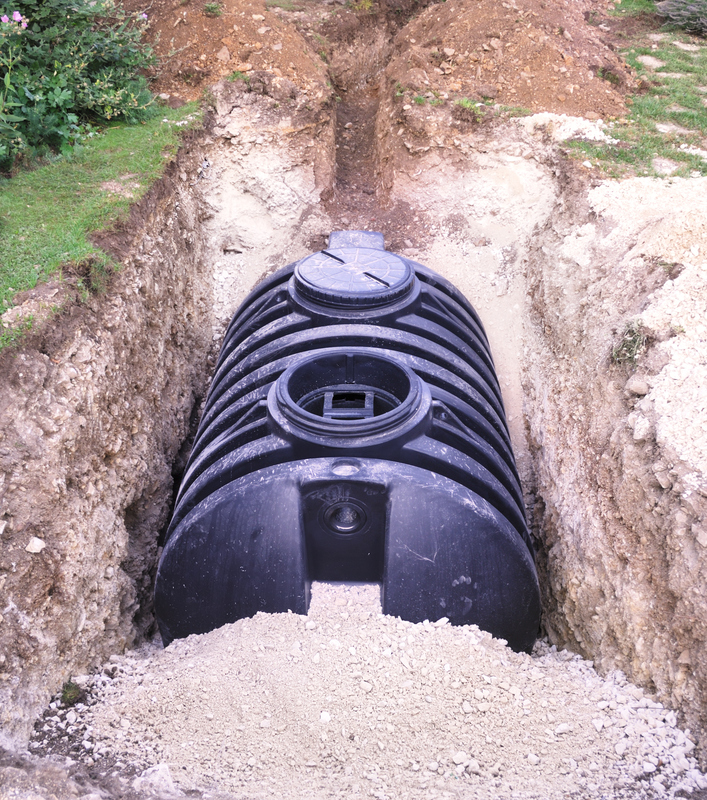 At Ridgeline Septic, we can help you get the right type and size of septic lid for your septic system or make any necessary septic tank lid repairs so that it continues to run properly. The distribution box is the middle man between the septic tank and the leach field. Wastewater passes from the septic tank through the distribution box to the leach field. If there is a problem or clog, it could lead to significant septic system issues. Ridgeline Septic has a team of experienced technicians that can determine whether or not your distribution box can be repaired or if it needs to be completely replaced so that your septic system can run properly. Your septic tank inlet and outlet baffles play an incredibly important role in the proper function of your septic system – they force wastewater away from the surface and into the septic tank. If an inlet or outlet baffle is not working properly it may need to be repaired or replaced or you could have a major septic problem on your hands. Allow a Ridgeline Septic technician to expertly assess your septic system and make any necessary baffle replacement or repairs services so that your septic system can run properly.